Maingear announced it will ship SHIFT, F131 and Potenza series gaming PCs with NVIDIA's new GeForce GTX Titan starting from February 21, 2013. 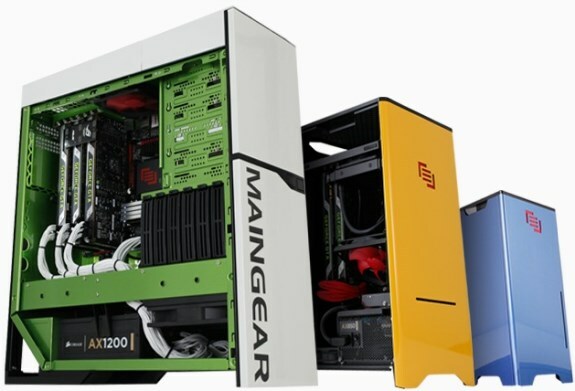 MAINGEAR, an award-winning custom PC builder whose name is known for building quality custom desktops, laptops, and workstations will add the new NVIDIA GeForce GTX Titan GPU to the award-winning SHIFT, F131 and Potenza desktops. Leveraging NVIDIA's Kepler technology, the GeForce GTX TITAN is the fastest single GPU with 3-way NVIDIA SLI and offers the best in PC gaming experience with up to 4K resolution and supports up to 4 monitors concurrent. The TITAN card offers two dual-link DVI, HDMI and Display Port 1.2 and also supports Microsoft DirectX 11.1 API and is NVIDIA 3D vision-Ready, SLI-Ready. The NVIDIA GeForce GTX TITAN graphics card will be available on the SHIFT, F131 and Potenza on February 21, 2013. All MAINGEAR products are supported with lifetime labor and phone support in the US, along with one to three year hardware warranty options.